Women's Silver Surf Necklace : LOVE2HAVE in the UK! 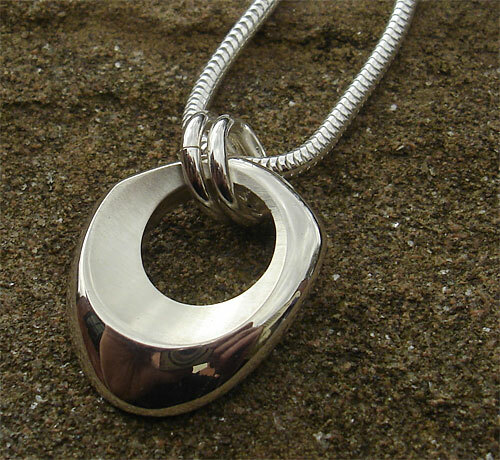 A women's silver surf necklace. 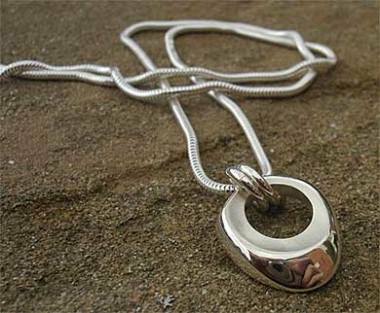 This beautiful silver pendant in a polished finish is the women's version of the silver designer men's pendant on leather. Again it is handcrafted here in the UK. The pendant measures 17mm in height and the silver snake chain measures 16 inches long, but other lengths are available on request. 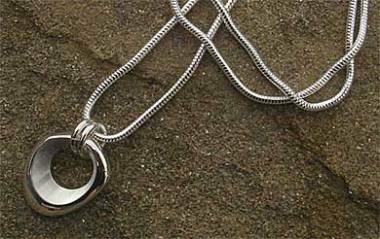 The pendant comes strung onto the snake chain with two silver jump rings.